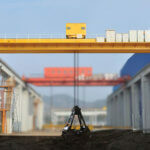 Ellsen cranes – more reliable, more efficient, more accurate and more sensitive! Ellsen and Siemens took the specially designed lifting equipment to meet the requirements of heavy lifting, station logistics, and component handling during assembly to take industrial steam turbine production to a new level. Siemens Group is divided into three major sections – industry, energy and medical care, under the 15 branches. Its energy segment is a global leader in power generation, transmission and distribution, and a diverse range of products, services and solutions for the generation, processing and transportation of hydrocarbons; customers are primarily energy utilities as well as industrial companies – especially the oil and gas industry Industrial Company. Siemens in Glitz is the oil and gas branch of its energy sector and is also the headquarters of the industrial turbine division. The Saxony plant is one of the top seven manufacturing turbines in the world. Industrial turbines are mainly used for power generation in combined heat and power plants, combined cycle cogeneration plants or smaller gas and steam turbine facilities. In addition, steam turbines are also used in sugar and pulp mills, chemical industry and solar power plants. The first logistics challenge has been defined during the project phase: All new jobs, commissioning and all internal work, including the installation of Ellsen crane systems, must be completed in nine months. Ellsen provides the best solution for this work program: one-stop shop for integrated in-house logistics solutions. From assembly to parts distribution to heavy-duty handling, the Ellsen crane system provides three levels of airborne material flow solutions for 20 assembly stations. 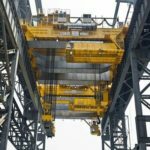 Both special cranes are equipped with two wire rope hoists designed to meet specific application needs, providing process reliability and maximum safety and availability for the top crane system. A special crane weighs 80/32 t and is used to carry individual components such as pedestals, steam turbine housings, and assembled rotors weighing between 40 and 70 t.
Safety flips: In production, an important step is to rotate the steam turbine 180 ° to the opposite installation position. 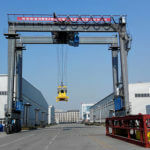 In the past, this was done with a mobile crane, which is now quickly and efficiently done with this special crane. Accurate weighing: load detector mounted to the lower pulley. 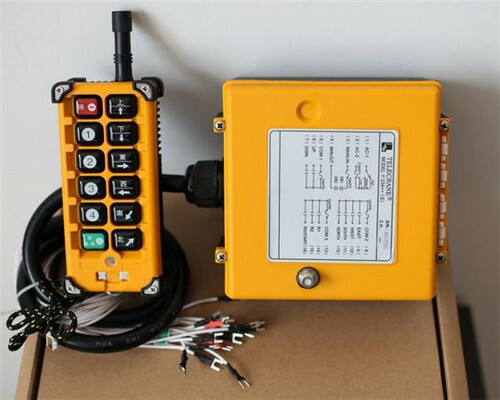 With the summation function, deviations from the expected weight can be found earlier, so that the original permission to walk can be renewed if necessary. 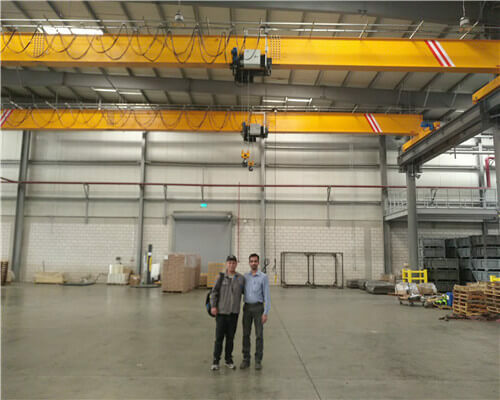 Three universal two-girder overhead traveling cranes with 20 / 12.5 t and 32 / 16t capacity complement the 20 assembly stations. These cranes are equipped with a wireless control system and a compact DR-Pro walking rope hoist, creating additional extra valuable lifting height. 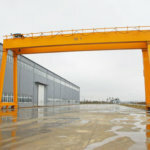 The wall-mounted boom crane at the assembly station forms the third airborne material flow system. 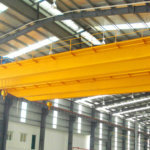 These cranes are installed on plant pillars and therefore do not take up valuable floor space. They assist workers in assembling and carrying parts weighing up to 1,000 kilos. The boom boom is 5 meters long and can be manually rotated 180 ° and equipped with a DC-Pro walking chain hoist for easy handling with the DST flashlight. More steamships. Greater reliability. Higher production efficiency. Precise positioning of heavy loads is the key to safe and efficient production. 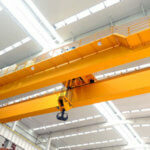 Two special cranes meet this requirement with a high degree of precision. Motion controlled by the frequency converter and lifting speed with load change facilitate precise handling and precise positioning – with millimeter accuracy. Pre-installation of the new steam inlet requires the turbine casing to be rotated 180 ° to the opposite mounting position. In the past, this operation was done by moving the crane. With the Ellsen special crane, this tilting operation is more convenient, fast and requires no additional space. Two double-girder carts designed to safely flip workpieces reliably hold the turbine housing in any position. The entire airborne material flow system takes full advantage of the plant’s available space. Wall-mounted jib cranes are particularly efficient and can assist workers in the pre-assembly of subassemblies. 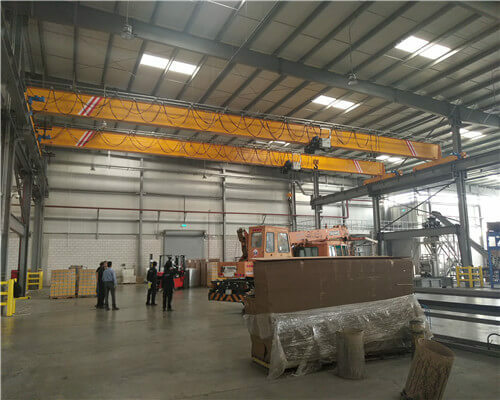 Since these cranes are installed on plant pillars, they do not take up space in the workshop, thus saving valuable space for assembly operations.